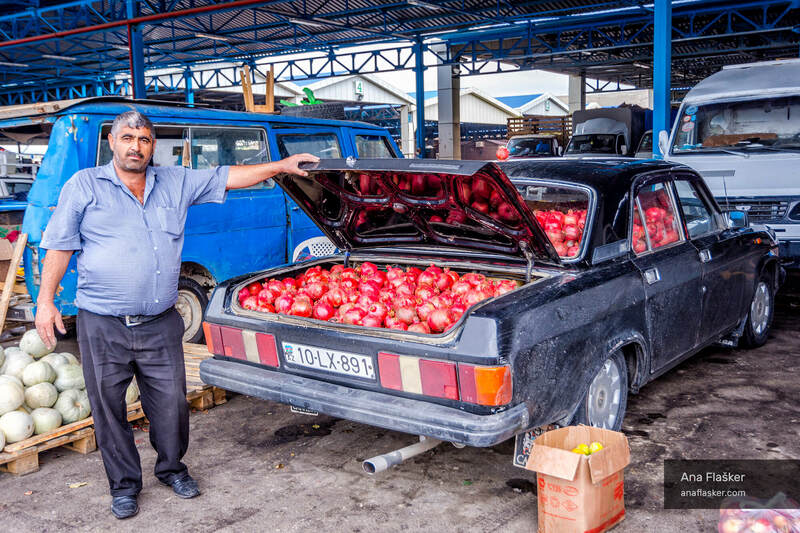 Pomegranates grow even in the wild in Azerbaijan. When there is a season, you can see plenty of old Ladas transporting them. The man was proudly selling those at the wholesale market in Baku.